A toilet handle can suffer from wear and tear through repeated use and is prone to sticking or breaking. Sometimes the fault lies not with the toilet handle, but with the flush in the cistern failing. Upon inspection we'll let you know exactly what the problem is and fix it while we're there. 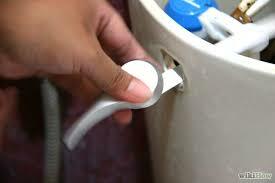 We will supply and fit a new toilet handle quickly, without any disruption to your water supply.